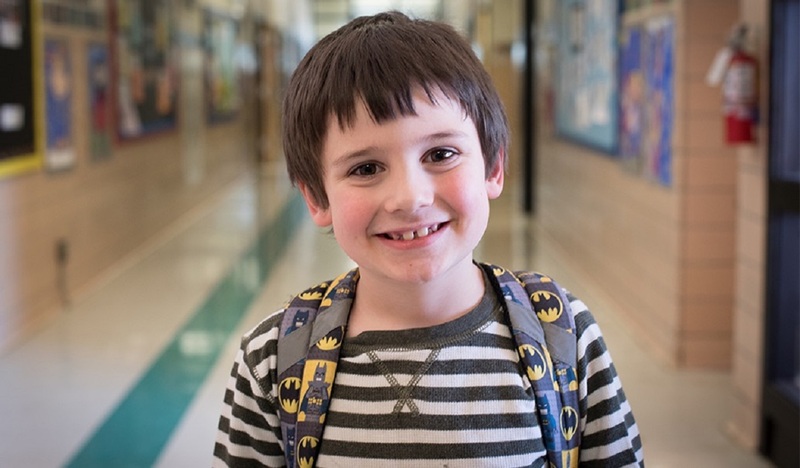 “When I get those food bags, they’re really heavy, and that heaviness is love.” Xander is a soon-to-be second grader who loves recess, superheroes, and eating “lots and lots of cereal.” He says food, and having enough of it, makes him feel better and energetic. One of the ways Xander and his family are able to get enough food is through Care and Share’s Send Hunger Packing program. Care and Share’s Send Hunger Packing program is powered by a group of volunteers who come into the food bank every week and pack dozens of bags with food items like peanut butter, pasta, canned meats, fruits, and vegetables. Those bags then make their way to schools across Southern Colorado. Xander picks up the food bag at the end of the day each Friday and takes it home to share with his family. The Joy in Childhood Foundation is proud to support Care and Share’s Children’s Nutrition Initiative programs with a grant for programs like Send Hunger Packing so kids and their families can learn and grow.